The uses and nutritional value of coconut oil has be grossly overlooked! There are hundreds of way to utilizes the health benefits of coconut oil and its extremely shocking how few people realize it. Unfortunately coconut oil was previously given a bad reputation due to the fact it is full of saturated fat. Later they found out that the saturated fat in coconut oil is harmless. What is it that makes coconut oil so special you ask? Well the breakdown of coconut oil is a powerful mix of fatty acids containing medium chain triglycerides (MCT), 12 carbon lauric acid, capric acid, and caprylic acid(Gunnars). What you should know about MCT is that the body breaks them down differently, it goes straight to your liver from the digestive tract where it becomes a quick source of energy. The other acids contain antibacterial, antifungal and antiviral properties. When eating coconut oil it can help boost immunity and help prevent infections. 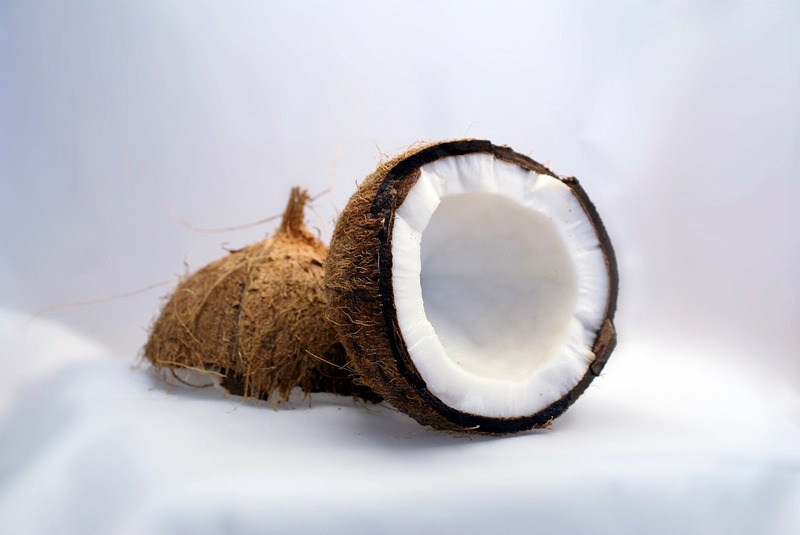 Coconut oil is beneficial to your liver, kidney, pancreases, bones, heart, teeth, and hair! It also was found to improve brain function, people have actually found improvements with those diagnosed with Alzheimer’s disease after consuming regular amounts of coconut oil daily(Gunnars)! Whole populations are known to have thrived by consuming large amount of coconut daily (Gunnars). A study was done with 40 women that were obese, they began supplementing with 1 ounce (30ml) of organic, virgin, coconut oil each day over a 12 week period. Keep in mind there was no change to diets and zero exercises were added. After the 12 week period was up they experienced significant reduction to both BMI and Circumference with all 40 women. A second study was done on 20 obese males over a 4 week period with the same 1 ounce supplement of coconut oil. Over those 4 weeks the average waist reduction was 2.86 cm (Gunnars). Coconut oil is a great source of energy, helps reduce appetite, improves cholesterol levels, and can lower risk of heart disease. So now that we know SOME of the many benefits of coconut oil… How can you incorporate into your daily schedule? Coconut oil is great for cooking, blended into smoothies, and even in teas and coffee (check out my blog on “Are You Bullet Proof?”). Other uses could be oil pulling for dental hygiene. Thanks to antibacterial properties by swishing a 1-2 tsp of coconut oil in your mouth for 20 minutes a day can help fight against cavities and promotes great oral health. You can also use coconut oil as a conditioner to help fix/prevent damaged hair. Other uses are thing such as: homemade lotions, dairy free replacement for butter, diaper cream (baby safe! ), homemade toothpaste, rubbed on cuts or infections, lip balm, and homemade doggie treats (doggie safe!) (101 uses). There are so many uses and benefits of coconut oil, so don’t miss out and add coconut oil into your life today! Gunnars, Kris. “10 Proven Health Benefits of Coconut Oil (No. 3 Is Best).” Authority Nutrition: An Evidence-Based Approach. N.p., 08 July 2013. Web. 25 Feb. 2016. “Health Benefits of Coconut Oil.” Organic Facts, n.d. Web. 25 Feb. 2016. “101 Uses for Coconut Oil | Wellness Mama.” Wellness Mama. Spears Marketing, 2016. Web. 25 Feb. 2016.